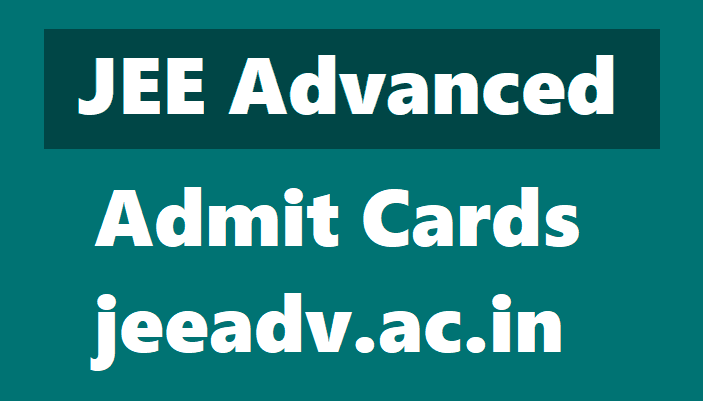 JEE Advanced 2018 Admit Card Released, download now from jeeadv.ac.in: JEE Advanced 2018 Admit Card have been released by IIT Kanpur. Candidates can download now from jeeadv.ac.in. Indian Institute of Technology, IIT Kanpur has released the admit cards for the JEE Advanced 2018 examination. The admit cards are now available on the official website jeeadv.ac.in. Candidates who have registered for the examination are advised to download the admit cards from the website at the earliest. The facility would be available on the website till the date of the exam, May 20. Students to please note that they would require a separate admit card for JEE Advanced 2018. Also, they may be allotted different centres for the examination. Hence, it is advisable to download the admit card at the earliest. Steps and link to download JEE Advanced 2018 Admit Card is provided below. Candidates are advised to carefully go through the instructions provided on the admit card. Also, please download and print the copy of the admit card. No candidate would be allowed inside the exam centre without the admit card. JEE Advanced is being conducted by IIT Kanpur in Computer Based format on May 20.